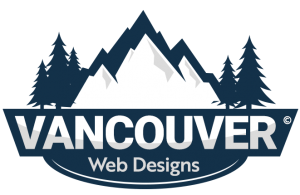 Vancouver Web Designs is a websites design agency in Vancouver with expertise in website development and Internet marketing for clients in and around Vancouver & Lower Mainland. Since 1982, we have helped more than 10,000 clients all across Vancouver & Lower Mainland with high-quality website design and internet marketing solutions. Creating a rewarding online experience is challenging but we take time to listen, remove all confusions on how “things” work and then offer honest solutions that meet your unique needs. We are not a huge agency nor a one man army operating from the family room but are a small team of specialists, each with a dedicated role in helping you reach your online success. The Vancouver Website Design Company built a website for our company and it turned out absolutely amazing. We were on a very tight deadline and they turned it over to us in only 7 business days. It was easy to communicate with their web design team and they are very personable and professional. We have received many compliments on our new website and positive feedback. We look forward to continuing to work with the nerds in the future. I recently had Todd’s web design team design my new website, and I was extremely pleased with their ability to listen to our needs and build the perfect website for us. I was also shocked at the speed in completing the job and reacting to our final adjustments. I would recommend vancouverwebdesigns.co all day.